1Make knife marks on the sides of the sausages. 2Heat the vegetable oil and shallow fry the sausages on low heat. 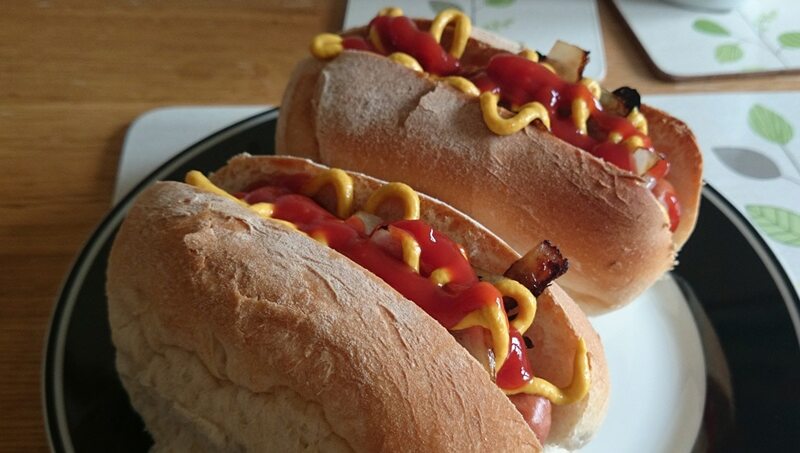 3Take out a slice of about 1 cm width from the top of each hotdog bun. 4Line this wedge in the hotdog buns with tomato sauce. 5Place a sausage in the bun and zig-zag a ribbon of mustard sauce on top of the sausage.